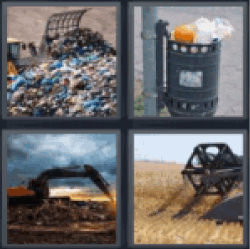 4 Pics 1 Word Garbage dump. Trash can. Giant Tractor in manure heap. Tractor.